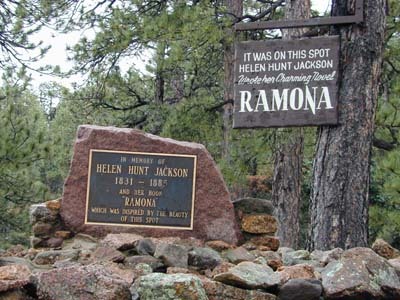 Novelist and poet Helen Hunt Jackson is best remembered for Ramona, a novel described as "a romantic study of Spanish patriarchal life in California [that] immediately became famous for its protest against governmental cruelty to Native Americans." She was born Helen Maria Fiske on October 14, 1830, in Amherst, Mass. (although the marker here reads 1831). She married first Edward Bissell Hunt (15 June 1822 - 2 October 1863) on October 28, 1852, in Boston. She married second William Sharpless Jackson (16 January 1836 - 4 June 1919) on October 22, 1875. She came to Colorado Springs in 1873 for her health and considered the city her home for the rest of her life. 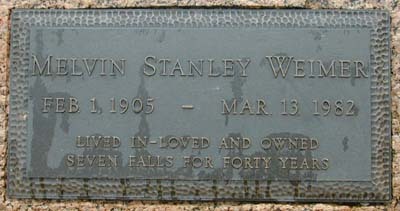 She died August 12, 1885, in San Francisco.